American Fable, the new thriller from Anne Hamilton, is one of the most visually spectacular indie in years. 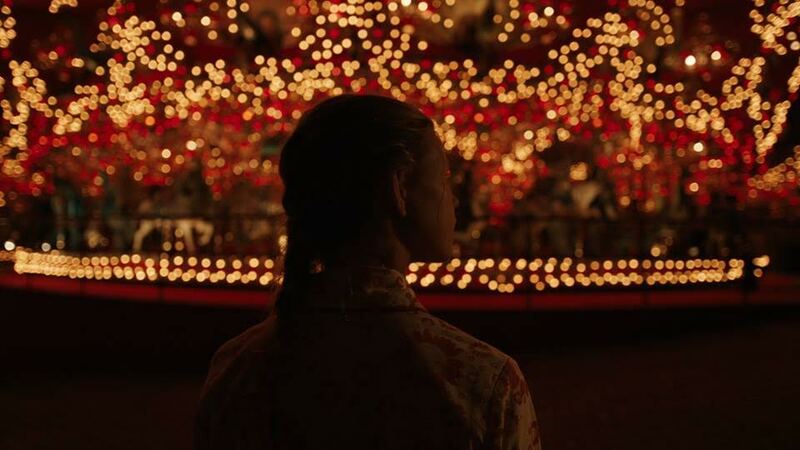 Made with a big sense of scope, and small budget, she’s turned what could be an intimate family drama into a spectacular fantasy thriller about the end of girl’s childhood. Starring newcomer Peyton Kennedy, and familiar faces Richard Schiff, Kip Pardue Marci Miller, and Rusty Schwimmer, and Zuleikha Robinson, Hamilton tells the story set in the 1980s of 11 year-old farm girl Gitty realizing her family’s way of life is in jeopardy. A student of law and philosophy, Hamilton studied directing under Terrence Malick on The Tree of Life’s set and was part of the 2014 AFI Directing Workshop for Women. In our extended interview, we discuss her visionary approach, inspirations and challenges of working with kids and farm animals on a film. Lesley Coffin: You briefly mentioned in the film’s Q&A that you wanted to address some political issues that were on your mind at the time, but you didn’t go into a lot of details. What were some of the events that inspired this film? 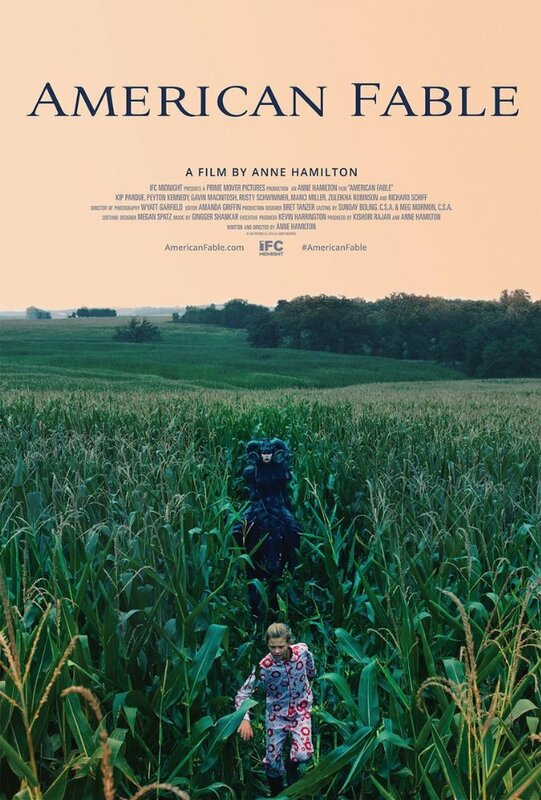 Anne Hamilton: I really wanted to make a movie about the Midwest, because the political issues that are coming to a head now have been brewing for a long time. They’ve been progressing for over 30 years, since the 80s, when land ownership changed so swiftly. And it largely impacted small and family farmers, but also manufacturing when we saw a lot of industries going overseas. And we’ve seen this depression in the Midwest, while the coastal areas seem to be doing fine. And I remember when I was still in college, being so confused by the results of the 2004 election. Why were people voting the way they were? And it made me think about how we’ve actually been seeing this happening overtime, and how political decisions hurt people like my parents and the families around us. So I wanted to tell that story, and I thought it only made sense to set things backwards a little bit, and so it made sense to incorporate this fairy-tale element. Lesley Coffin: Why did you decide to use the genre elements in the film as well? Anne Hamilton: One of the biggest mistakes people make when they intend to tell a political story, is they put that front and center. So I think that when you put genre on top of history, more people will watch it because it’s a good story. Politics really need to be secondary to the story and characters. And the film is told really from Gitty’s perspective, so most of the political details are going on in the background. And I know people have found that a little frustrating, but I think people piece that stuff together afterwards, it’s all there, and can enjoy the thriller genre while watching. We just don’t want to hand the political stuff to them, because I don’t think people are going to want to see this movie for the politics. Lesley Coffin: I loved you mentioning Pan’s Labyrinth in the Q&A which it uses history in a similar way, because to watch that film you don’t need to know history, but if you do it fills some things in. And it sparks your interest to look into it. The film reminded me a little of Days of Heaven too, and how that film uses the industrial revolution and turn of the century immigrant experiences to tell the story. Were you inspired by other films to see how they incorporated those elements? Anne Hamilton: It’s funny, because I never think of Days of Heaven having that political overtone, but you saying that makes me realize, of course it does. But those are the films I just love personally and I think use cinematic elements to tell their stories in effective ways. Lesley Coffin: Days of Heaven is my favorite Malick film, and I love the way that whole movie feels washed out. Anne Hamilton: It’s my favorite, too. And the story’s really this interesting love story about Abby. It’s simple. But the political stuff’s just window dressing. Important window dressing, but you need that human connection to get an audience invested. It can’t just be about the politics. Lesley Coffin: What made you decide Gitty’s hero would be her father? Anne Hamilton: It would be great to have a hero figure be a mother, too. And I think Sarah is the other hero in the movie. She’s a stronger person, she doesn’t get involved in the mess Abe does. Although Abe’s a good person too. But I do think a lot of women worship their fathers. I think men tend to be closer to their mothers, and women tend to be closer to their fathers. I love my mother, but I am my father’s daughter. And when a girl has a strong father that believes in them, that’s just so important. Because I think men see their sons as their heirs, but their daughters are their heirs. I’ve found that if you were raised by a confident man who believes in you and encourages you, you’ll grow up to be a confident woman. And I think more men really need to think about the strong connection of fathers and daughters. Lesley Coffin: What made you cast Richard for the character that’s kind of representative of urban America? Anne Hamilton: He wasn’t my idea, and when he was brought up, I just thought, he’s like a professor. He’s so smart, he’s capable of having a harshness, but he’s just all warm on the inside. He actually has a daughter close to Gitty’s age. And he looks so different from anyone else in the town. So I liked the dichotomy he could bring. Lesley Coffin: But particularly in the 80s, what we think of as east coast money-guys, we have the image of slicked backed hair and black suits from movies like Wall Street or American Psycho. And he’s not that at all, he’s so low-key in a lot of ways. Anne Hamilton: You’re right about Wall Street being a completely different type. But the connection between Gitty and Jonathan was very special. She responds to him like a student, and a Wall Street dude wouldn’t have that. I wanted someone who seemed deeply broken, a man who could have been this inspiring teacher but took this other path. So Richard seemed like a man with this great heart, and Gitty’s the person to bring him back to who he really is. Lesley Coffin: Did Richard talk about being a father to someone close to Peyton’s age? Anne Hamilton: He didn’t tell me what drew him to the script, we cast him while shooting the film. But he did mention things about his daughter in relation to Gitty. I wasn’t sure if she could realistically climb the rope in and out of the silo, because we had a stunt person doing that. And Richard was like, “my daughter could climb that no problem.” He could relate as a parent and give me advice on what would be realistic, because I’m not a parent. Lesley Coffin: Why was it so important to have a young female protagonist? Anne Hamilton: I remember watching The Neverending Story as a kid, and being convinced that Atreyu was a girl because he had long hair. I was convinced and wanted to be Atreyu, and my mom never told me I was wrong. I didn’t want to be the princess, I wanted to be Atreyu. And when I think back, all my fantasies as a kid were of me saving the day, but you have to see that in order to imagine that. So, it’s this moral imperative to show girls what it’s like to be strong on a big screen. Because thank god my mother never told me the truth of Atreyu. I just wanted Gitty to be that for a younger generation. Lesley Coffin: Were there other films about little girls being the heroes you related to? Pan’s Labyrinth has that, I’m a huge fan of that movie The Fall. Anne Hamilton: Oh, I love The Fall too! You’re mentioning all the movies I love. And that little girl’s so amazing in it. But it’s still so rare to find those young female characters, and those are both Spanish films, not Hollywood films. I can think of Hunger Games and the new Star Wars films, but that’s been it. Lesley Coffin: Most of the films we’re talking about have “magical realism” and this film kind of avoids that, but there are moments. Were you thinking about adding more? Anne Hamilton: I did think about that, but it was honestly a budgetary issues first and foremost. We had a limited time to shoot the film, and everything had to be practical. But the next movie I make, hopefully, I’d like to have more time and money. Lesley Coffin: How many days did you have? Anne Hamilton: We had a total of 30, which is a lot for an indie movie, but still not that much. The reason we got that much time was we had an 11-year-old in the lead, so we had strict working hours. And the actor who played Gitty’s brother, Gavin MacIntosh, was only 15 at the time so he had time limits, too. Lesley Coffin: Were you concerned that a character like Gavin’s was too dark to be played by a kid his age? Anne Hamilton: I wasn’t, but people have had different reads of the character. I think he brought nuance, and he just has this sick-sense about what the right thing to do is. Other kids we saw played it so dark, so angry or just crazy. And Gavin never did that, he knows that Martin had his own reasons for doing the things he did. And he’s not crazy. I told him to watch Hannibal Lector, if his parents let him watch Silence of the Lambs, because Hannibal makes complete sense to Hannibal. You just have to figure out why he does what he does. And Gavin came back saying, Martin's bored and this is a way to entertain himself, but he also thinks he’s right. Lesley Coffin: Obviously, red is a visual component we see in a lot of fairy tales and you change the hues of the reds throughout, from burnt reds to more blood red. How did you want colors to convey her personal journey? Anne Hamilton: The way we changed the colors we did in tandem with how we filmed. The dinner scenes are book-ends so the first one’s almost from the chicken’s perspective, the color floats and those scenes have colors that feel golden and home-y, yellows and browns. The reds are more muted and brownish, and she isn’t wearing her red jacket. And at the end, the camera is static, we have this Edward Hopper green background instead of the yellows, and everything’s much brighter. We did that to let the magic of the silo sneak in. When that comes in, the camera also stops moving as much, almost the way Kubrick used a static camera to make things a little unsettling, particularly in The Shining. And Gitty is the only character to wear or touch things which are red. Her coat’s red, her PJs are red, her piggy bank. But nothing else is red. And Sarah’s always in yellow, and because the heart of her home is the kitchen, that’s been painted yellow. Abe wears browns and the heart of his area of the home is the barn. Jonathan wears a steel grey-blue, like the silo. Martin’s in army green, and Vera wears purple. And anytime she’s been around we had purple creep into the image. I wanted the cotton candy to be purple because it’s like Vera leaves a trail where she goes. It sounds demanding, but once you set up rules, it becomes really fun and creative. We found a red clock because of the riddle Jonathan tells Gitty. And your subconscious picks up on those things. Lesley Coffin: The hoody suggests little Red Riding Hood and I saw a little bit of Alice In Wonderland on screen, but what other fairytales or fables were inspirations? Anne Hamilton: I was inspired by Beauty and the Beast, so Jonathan’s the beast in this version, poor Richard. But a lot of Brothers Grimm stories have tales where you go to a place, a tower or bridge, and there’s a monster or what seems to be a monster there. I don’t know if you know this one, but I was inspired by, Don’t Look Now is a movie where a man’s looking for his daughter in this little red jacket, and Donald Sutherland plays this broken, desperate man. And that’s a pretty evocative image. Lesley Coffin: Was the film always going to have the title American Fable? Anne Hamilton: No, we were going to call it The Silo, and then we found out about his horror movie called The Silo. So we couldn’t use that, and we didn’t want to confuse people. So we went back to the drawing board and sent four titles to my producer and she liked American Fable. So we purchased the website before anyone else got it. But I liked the idea of fairy tales or fables, because I don’t think they always tie up loose ends with a “happy ending.” And we don’t tie up loose ends here either. I wanted that fable about the airplane pilot to be told early on in the movie because I heard that fable years ago and I’ve never forgotten it and made me think long after hearing it. And that’s the experience I want people to have from this film. Lesley Coffin: You mention the House on the Rock in Wisconsin, a place I’ve also been to as a kid and resulted in our family’s worst road trip. Such a strange place with the strange dolls and the carousel, it has some stuff that could cause nightmares. Had you been there or heard of it before this film? Anne Hamilton: I had and it definitely left an impression. And when I wrote the dream sequence a friend said, ‘Why you don’t try to shoot it there?’ Because it has that otherworldly quality you want in a dream. The architecture’s so strange, that infinity room feels trippy. The people there are wonderful but it took a lot of convincing and money to get access. Lesley Coffin: Where did you shoot the fair scene? Anne Hamilton: At a real county fair. Also took convincing and money. It was easier to do that than build one for a seven hour shoot. Lesley Coffin: How did you find Peyton? Anne Hamilton: I met Peyton when I was going to shoot about two years ago, and she was a little too young when she first auditioned. But funding fell through so when we got the money back, Peyton was the perfect age and I remembered her at the audition. Lesley Coffin: Why did you settle on 10 or 11? Anne Hamilton: I think this happens a little earlier with girls, I think for boys it’s more common around 12. But they’re able to understand everything adults say, but still a child because of how they imagine things. That time right before puberty is this magical time for girls. We know what she knows, but we’re still on a ride with a child. Lesley Coffin: I imagine directing chickens isn’t the easiest thing? Anne Hamilton: No, but we originally had three piglets, I thought that would be so cute. But it’s really hard to get them to do anything. So the farmer helping us said, “You know, I have a goat and chicken that might work better.” So when Peyton got to set I told her to spend some time with each and let me know the animal she’d rather work with. And she came back and was like, “We’ve cast the chicken.” And the chicken ended up being a much better choice in the long run. Lesley Coffin: I also loved the little girl who threw her teddy bear, because you knew she’d lose it if she couldn’t get it back. Anne Hamilton: Our prop master had three bears, all little, and one huge one that was the size of Heidi. And I immediately said “we need that one, it’s hilarious.” But it needed to be battered, so we filmed him hitting the teddy bear against the wall until the seams started to pop. I had a bear like, where they’re just destroyed with love.